In 1938, many Jews who were fleeing Nazism were held in Otpol, at the Soviet border with Manchuria, with temperatures under -20° C. The immigration office of the Ministry of Foreign Affairs of the Japanese region did not want to provide them with the passports to cross the border, fearing the reaction of the German ally. 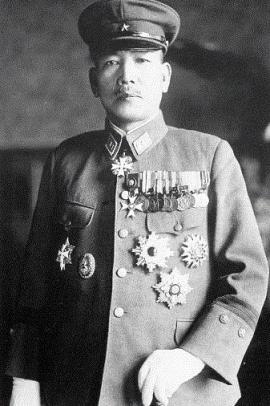 Major General Kiichiro Higuchi was the chief of the special branch of Harbin (the administrative centre of the most Northern province of China, in Manchuria), occupied by the Japanese, and saved about 2,000 Jews from freezing to death, nourishing them and giving the exit visas. “Japan is not a vassal of Nazi Germany. Do you really think it's right to bring forward Hitler's flag and crush these unwelcome people?”, he firmly asked the then chief of the Japanese army of Kwantung, Hideki Tōjō, who then agreed to his vision. Kiichiro Higuchi was born in Minamiawaji, on the isle of Awaji, on 20 August 1888. During his training at the Army Officer School, he studied Russian at the Tokyo Foreign Language School. Precisely for his fluency in Russian, immediately after his graduation, he was sent to Vladivostok. There he lived in the home of a wealthy Jewish lord. Later on, as a military officer, he was sent to Poland, in Warsaw. He tried to get as much information as possible on what was happening in the country and he managed to establish good relations with the Russian officers, who allowed him to visit Crimea. Higuchi rose to a senior position in the Japanese imperial army and at the end of the 30s, as it was more and more necessary for the Jewish population to flee the persecution, he was in touch with Abraham Kaufman, Russian doctor and exponent of the Zionist community of Harbin, which helped protect the dozens of thousands Jews seeking shelter in that part of Eastern Asia. In Harbin, on 26 December 1937 the first of the three Zionist Conferences of the Jewish Communities of the Far East was held, to which Kaufman invited general Higuchi as a speaker. His speech forcefully condemned the crime that was being perpetrated against the Jews: “You are no lesser than any other ethnic group", he said "either in the scientific field or in the industry or any other field. Being witness to this is a duty of mine as a human being, and as such, I am deeply sorry for what is happening. It is a humanitarian emergency. Expelling somebody without designating for him any destination is a treatment, which amounts to mass murder”. At the end of his speech, over 1,000 Jewish guests applauded. The news that such a prominent member of the Japanese army had pronounced such words against Germany did not take long to spread. Ribbentrop gave instructions to take a stance in no uncertain terms, which immediately reached the Japanese Ministry of Foreign Affairs. The Harbin Jews, hit by a crackdown, started turning to General Higuchi for help. This was a scandal for the Japanese government, but it did not stop Hichiiro: he knew that thousands of people were about to die and this mattered more than the safeguard of his position. He trusted his own judgement rather than the criticism that poured on him and he decided he would rescue them. He did not act alone. He had the support of many young officer and his lieutenant, Norihiro Yasue, probably persuaded that the Jewish economic and political power could be exploited by Japan. Kiichiro thus demaned to put in place a special train to allow the Jews blocked at the border to escape to China: that was “the Higuchi Route”, and he provided all the necessary papers for the operation. The deeds, sometimes the entire life, of the Righteous, are there to prove that every human being can take up a personal responsibility to defend the weakest people and oppose the anti-democratic and repressive drifts of society. Not only the Righteous among the nations awarded in Yad Vashem, but all the world's Righteous should be remembered, honored and praised for their key contribution to the fate of the human kind. Learning about their biographies helps the construction of educational memory, able to speak to the younger people's hearts and minds.